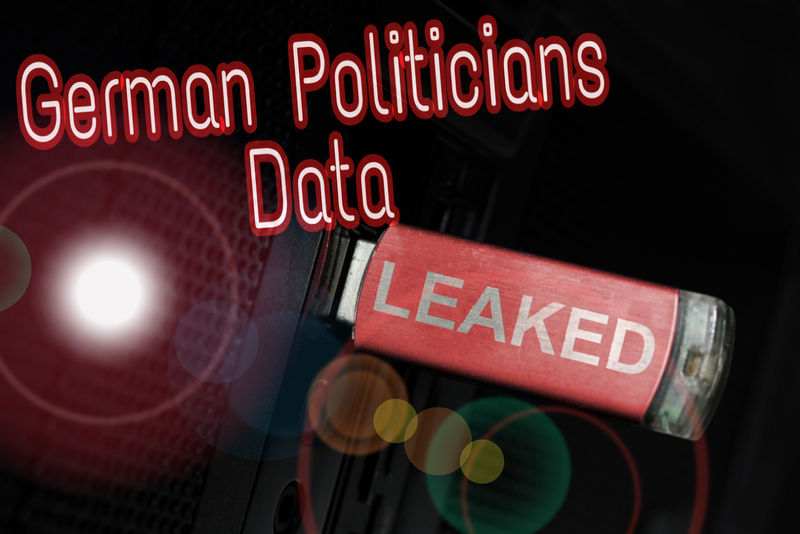 Sensitive data and documents of hundreds of German politicians have been leaked online on Friday. The leaked data were posted via a Twitter account in December, in which all levels of politicians were affected, including from the European Parliament, German parliament and regional parliaments. The leaked data included personal phone numbers and addresses, internal party documents, credit card details and private chats. It seems unexpected that almost all political parties and politicians data is been included on the leak, apart from Alternative for Germany (AfD) party. Angela Merkel’s email address and several letters to and from the chancellor appear to have been published, German media reported, though a government spokeswoman said no sensitive information from the chancellory was leaked. An Interior Ministry spokesman declined to confirm that the data breach, which triggered an emergency meeting of the national cyber defence body, was the result of a hack. All the leak was made in a style of an advent calendar by an unknown twitter account. Till yet it's not clear why this leak is been made and how these data came?